Over the last decade, it has made good sense to study the genetic drivers of cancer by sequencing a tiny portion of the human genome called the exome - the 2% of our three billion base pairs that "spell out" the 21,000 genes in our chromosomes. If cancer is a disease precipitated by changes in genes, after all, we need to know lots about how and when different genes change in the many distinctive subtypes of cancer. Research led by Michael Feigin, Ph.D., a postdoctoral researcher in the laboratory of CSHL Professor David Tuveson, M.D., Ph.D., looked closely at cells sampled from 308 people with pancreatic cancer, one of the most lethal malignancies, with a 5-year survival rate of only 8%. Importantly, the full genome of the sampled pancreatic cancer cells was sequenced, not just the 2% that comprises the exome. This enabled Feigin and colleagues including computational biologist Tyler Garvin, Ph.D., formerly of Adjunct Associate Professor Michael Schatz's lab, to focus narrowly on genome segments called gene promoters. These segments of DNA typically lie adjacent to, but not within, the sequences of the genes that they regulate. Therefore, promoters are "invisible" when only the exomes of cells are sequenced, as has been commonplace in cancer genetics research. 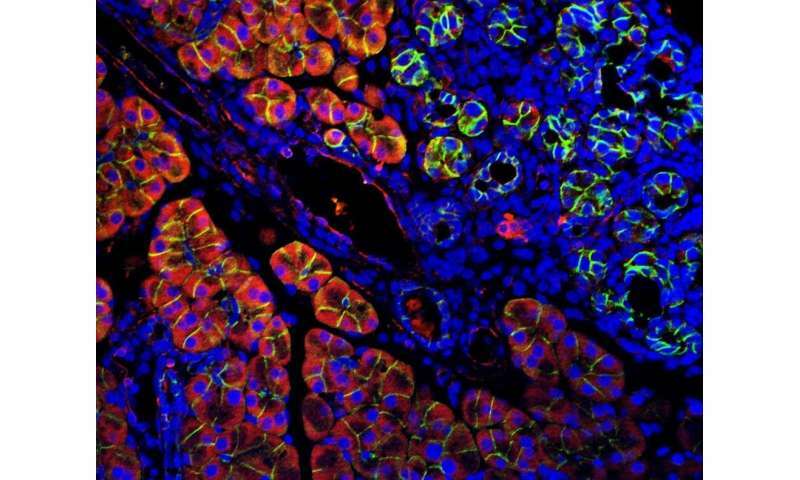 Genes called KRAS and p53 are mutated in the majority of pancreas cancer cells, for example. But mutations in promoters sifted out of mountains of data by the team's novel mathematical formula, or algorithm, called GECCO, lay in genes never before implicated in pancreatic cancer. Feigin points out that mutations in a promoter can affect how much protein is generated by the gene its regulates. In this way these mutations are unlike those usually found in KRAS and p53, for example, which impair or otherwise alter the function of the proteins they encode. 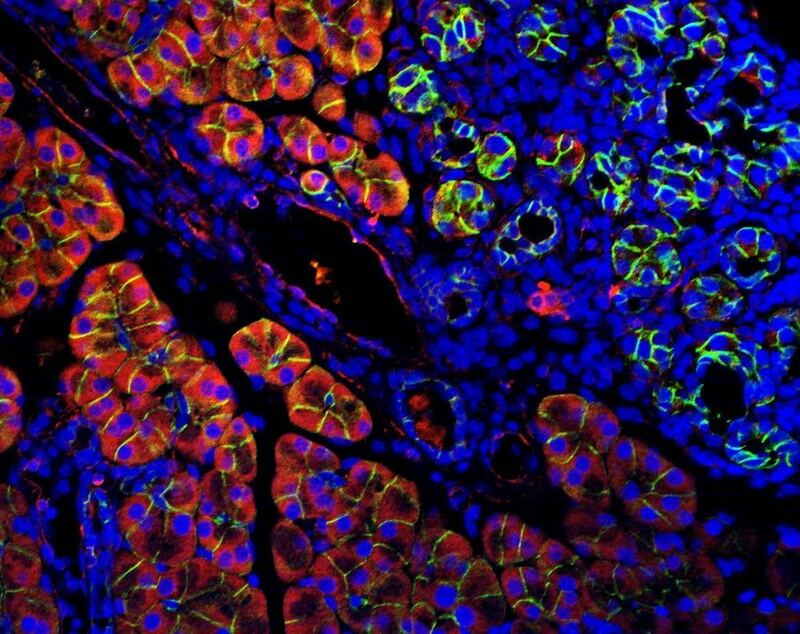 While the promoter mutations were not near known pancreatic cancer genes, the team found that they affected some of the same biological pathways in cells. Most prominent among these were promoters affecting genes involved in cell adhesion and axon guidance. Both pathways involve cascades of interactions among dozens or hundreds of proteins, each one encoded by a different gene. The cell adhesion pathway affected by newly discovered mutations in gene promoter regions is important for obvious reasons in cancer: cancer cells want to grow and proliferate, a process that can culminate in their migration from their tissue of origin. Once they have broken free, they can travel via the bloodstream to other places in the body, a process called metastasis that is often responsible for cancer fatalities. The axon guidance pathway associated with promoter mutations has a less obvious but no less important role in pancreatic cancer. "In pancreas cancer, nerves are often attracted to or get attracted to the tumor," explains Feigin, "and sometimes they grow right through the tumor. This is one of the reasons pancreas cancer is so painful." It's possible, Feigin says, that axon guidance signals - and indeed cell adhesion signals - "are actually being used by tumor cells" to gain advantages over healthy cells. "Tumors, for example, can actually spread via nerves; this is called peri-neural invasion." A question naturally arises: if these and several other pathways were already implicated in pancreatic cancer, what is the advantage of the new knowledge about promoter mutations? The answer, the team explains, has to do with finding ways to fight pancreatic cancer, one of the major cancer types that remains profoundly resistant to all existing treatments. The more that is known about defects in specific pathways in specific cancer types, the more specific molecular targets - pathway components - appear in the sights of researchers trying to disable or enhance a given pathway.